Mr. Sapkowski keeping a watchful eye out for those dang kids and their dang video games! Andrzej Sapkowski, author of The Witcher series of books (or The Wiedźmin as it is known in his native Polish), has threatened legal action against CD Projekt Red for a perceived lack of financial compensation after the massive success of the video game adaptation of his source material. 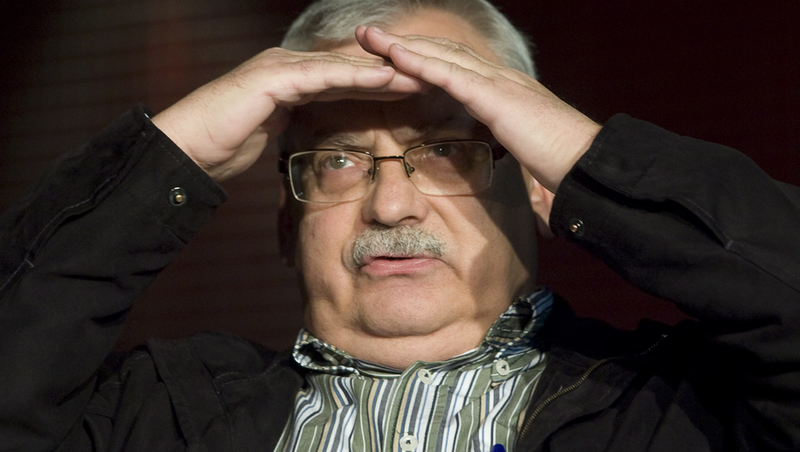 A public demand sent by legal representatives of Sapkowski claimed that he was entitled to at least 6 percent of the profits obtained by the franchise thus far, amounting to about 60 million Polish Zlotys (or 16 million USD). The notice cites Article 44 of Poland’s Acts on Copyrights and Related Rights stating, "In the event of gross discrepancy between the remuneration of the author and the benefits of the acquirer of the author's economic rights or the licensee, the author may request the court for a due increase of his/her remuneration." It also claims that the original agreement applied only to the first Witcher game, something CDPR has vehemently denied. The studio has also released a statement in response describing the claims as “groundless,” stating that the rights were “legally and legitimately” acquired and that the payment of royalties was never detailed in their contract. The sudden demand for royalties comes nearly 20 years after Mr. Sapkowski came to a legal agreement with the then-fledgling studio that gave them the rights to the franchise. Rather ironically, the author was offered the exact deal he is now attempting to cash in on, but declined taking a percentage of the profits and instead accepted an undisclosed lump sum. In an interview with Eurogamer back in March of 2017, Sapkowski spoke about how he regretted the decision and that he took the payment on the assumption that game series would never be successful. He states rather bluntly, “I was stupid enough to leave everything in their hands because I didn't believe in their success. But who could foresee their success? I couldn't." A few of Sapkowski’s novels, showing the influence of the game’s character design on the books’ cover art. It seems more and more that this story is one of a disgruntled author unhappy not only because of the millions lost through hasty legal agreements, but also because his legacy is seemingly being usurped by a media form he considered ill-suited to tell his story. It’s no secret that Sapkowski does not have the highest opinion of video games as storytelling mediums, and compared The Witcher games as a more “digestible” version of his stories primarily reliant on visuals. He was even quoted as saying "But it is the book that's the original, this book is the result of the author's unique, inimitable talent. 'Transfer a book into a virtual world?' Funny. It's impossible." Well... maybe not so impossible after all. Around 2008, not long after the first Witcher game released, the book series was translated into English, opening the way for new readers to enjoy Sapkowski’s work. At the same time, book publishers began to re-issue the novels with brand new game related blurbs and imagery, much to the chagrin of the author. Mr. Sapkowski was not pleased that his work was now being associated directly with the video game, believing that new readers would begin to assume the books were influenced by the games and not the other way around. In that regard I can somewhat sympathize with his attitude - the thought of becoming a side note in something that you’ve dedicated so much of your life and passion towards can’t be an easy pill to swallow. At the same time, he clearly seems to have an inflated view of his own books’ impact on the success of the game: “The belief, widely spread by CDPR, that the games made me popular outside of Poland is completely false. I made the games popular.” This claim seems erroneous, considering the aforementioned fact that the books had not even been translated into English until after the first game’s release. He’s even asserted that the games somehow may have harmed the sales of his books, maintaining that for every reader he’s gained from the games he’s lost one as well. Though there has not been a study to see if there is any correlation one way or the other, it seems highly dubious that an immensely popular video game franchise would in any way reduce interest in literature that pertained to it. Honestly, Sapkowski seems to simply be out of touch with the appeal of modern media and its capacity for storytelling. It’s not something I blame him for - he simply doesn’t hold as keen an interest in these art forms as he does the written word, and thus isn’t familiar with why they are so popular. However, when you decide to take legal action against a company for lost financial opportunities that were a result of your own short-sightedness, it comes across as somewhat greedy. One can only wonder if Sapkowski has learned his lesson, especially with the The Witcher Netflix series now on the horizon. The announcement that he would not be involved in any creative capacity on the show seems to confirm that this is, at least in his eyes, just another adaptation for him to make a quick payday off of. As for the dispute with CDPR, I can only hope both parties can come to an understanding without the need for legal intervention. 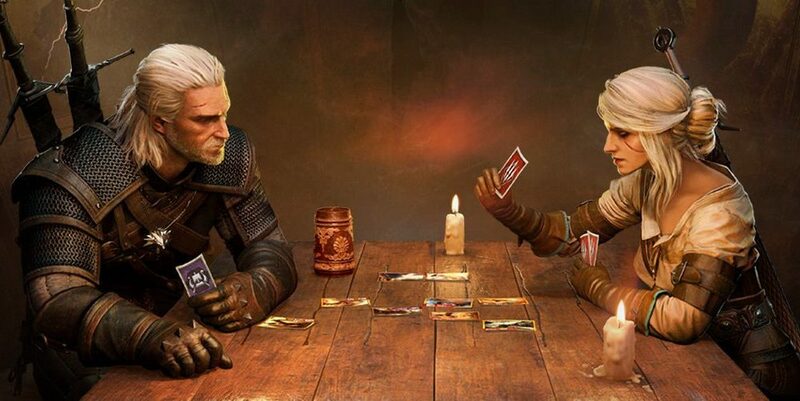 If there’s anything The Witcher taught me, it’s that there’s nothing that can’t be resolved with a game of Gwent. Literally…nothing.